Winter Solstice Spiral Liturgy: Overview | Mist to Open. Mists to Bind. Winter Solstice takes place in the season of many winter holidays. Most of these have some focus on lights in the dark, renewal, or the gifts of the season. After seeing some folks post in the ADF Parents Special Interest Group pictures of their Yule Advent Spirals, I decided I wanted something of my own, but I also wanted to create a liturgy to go along with. Thus, the Winter Solstice Spiral Liturgy was born. I asked Rev. Michael J Dangler of the Magical Druid to design and make a spiral for me. We settled on a three armed spiral with space for seven candles in each arm and one large candle in the center. The liturgy is likewise divided up into three sets of seven, with a large candle set up for the final day, and our family celebration. The basic outline for the liturgy is focusing on the ideas of Storm, Water, and Fire. This allows the liturgy to move from dark to light as we progress closer to the solstice. There will be more and more candles lit each day to combat the increasing darkness, up until the Sun is honored on the final day when the nights begin growing shorter again. The liturgy itself follows a basic template with a very simplified version of the ADF Core Order of Ritual, with only the center portion, the “being of the occasion,” changing between the days. Then the last day has a ritual and tradition all it’s own. This draws from the tradition our family has developed and practiced in past years. I’m including the outline of spirits honored each day below, and then each day I will post the full liturgy for that day. The liturgy begins on Dec 1st, and moves through December 21st, with an extra piece for the morning of the Solstice. 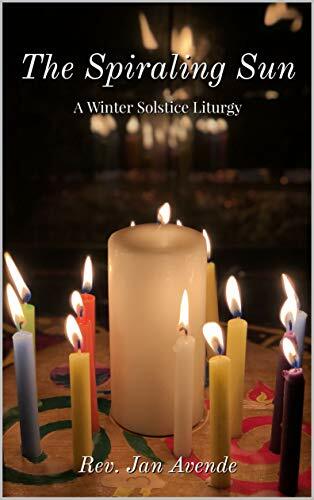 You can purchase a copy of the full liturgy in Kindle or Paperback on Amazon or get a copy of the pdf by supporting me on Patreon. If you like the work I’m doing, please consider supporting me on Patreon for access to even more.